If you are looking forward to create some fun memories, then this Coast to Mountain Tour of 13 nights and 14 days is a perfect option for you. 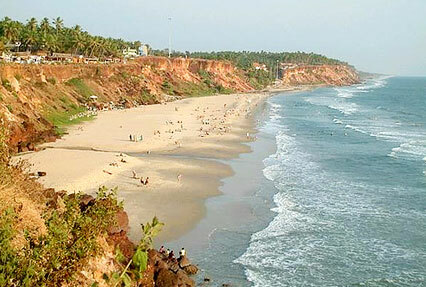 You will some of the greatest beaches and hill towns of India such as Mumbai, Kovalam, Kuarakom, Munnar etc. Along with this, you will also visit some of the country’s popular wildlife reserves such as Periyar national park and Kumarakomn Bird Sanctuary. The tour also offers a luxury houseboat trip. You will also take pleasure in sightseeing. After arriving in Mumbai, our representative will receive and transfer you to the booked hotel. Widely known as the "city of dreams", Mumbai is a place where custom meets modernity in a manner that simply astounds the senses. Mumbai is also synonymous with the Hindi film industry, commonly known as Bollywood.Overnight stay in a city hotel. Post breakfast enjoy a half-day sightseeing tour of the city and excursion to famous Elephanta Caves that are a World Heritage Site. 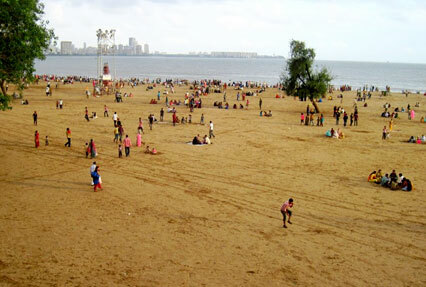 Other places for sightseeing include the Gateway of India, Marine Drive, Bombay Natural History Museum, Hanging Gardens, Essel World, Chowpatty Beach and more. Overnight stay will be at the hotel. From the Mumbai airport, board a flight for Trivandrum. After arriving, begin your road journey to Kovalam and check into a city hotel. A trendy beach destination in South India, Kovalam brags of three adjacent beaches - the Lighthouse Beach being the most admired of them all. Spend the night at the Hotel. Get set for a day's excursion to Cape Comorin on Day 4 of the Coast to Mountain Tour. Kanyakumari was known as Cape Comorin during the British rule as it was geographically a cape. The sightseeing tour features a visit to the Padmanabhapuram Palace followed by the Archaeological Museum. Overnight stay. Drive to Varkala after breakfast. One of the most immaculate beach resorts in India, Varkala is great for rejuvenating body and soul with alternative therapies. 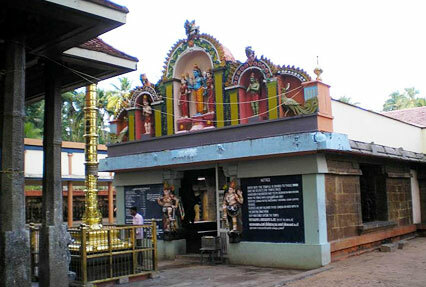 Also a Hindu pilgrimage place, Varkala is popular for Papanasam Beach and Sree Janardhana Swamy Temple. Overnight stay will be at the hotel. After breakfast at the hotel, drive to backwater haven - Kumarakom. Upon arrival, proceed for check-in at the hotel. Referred to as the "Backwater Country", Kumarakom is the perfect place to unwind and invigorate the mind. Blessed by greenery and a widespread calm, this backwater destination beckons people from all over the world. Overnight stay in the hotel. After breakfast set out on a sightseeing tour of Kumarakom. Take pleasure in a pleasant boat ride through the countryside of Kerala. Thereafter visit the Kumarakom Bird Sanctuary. Later, enjoy water sports like wind sailing, canoeing and water skiing. Overnight stay at the hotel in Kumarakom. Travel to Thekkady after breakfast. Check in at the hotel on arrival. Travel across spice plantations, grasslands, cascading Waterfalls and charming trekking paths on the way to Thekkady. This place is regarded as a paradise by travellers who wish to experience a variety of geographical variations. Overnight at hotel. In the morning, proceed for boat safari at Periyar National Park. Also see rare flora and fauna species. Later take a walk through the spice plantations. Stay overnight stay. Travel to Munnar after breakfast. Check in at the hotel after arrival. 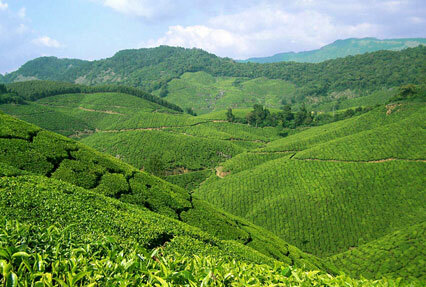 Also known as a "nature lover's paradise", Munnar is positioned 1800m above the sea level. Verdant tea plantations, wholesome climate and a pleasant ambience make Munnar one of the most admired hill stations in South India. Night stay in the hotel. Indulge in a sightseeing tour of Munnar. Munnar brags of diverse attractions like the 2695 m high Anamudi Peak. The Devikulam Lake and the Eravikulam National Park are some of the other important places to be visited during sightseeing in and around the hill town. Spend the night at the hotel. Post breakfast, begin your road journey towards Cochin and check in at the hotel on arrival. Take pleasure in a traditional Kathakali dance presentation in the evening. Referred to as the "Queen of the Arabian Sea", Cochin simply enthrals its visitors. The city is also the commercial center of Kerala and is listed as the second most essential city on India's west coast after Mumbai. Night stay in the hotel. Set off for a morning city tour of Cochin. Built in the year 1568, Jewish Synagogue calls for a visit. 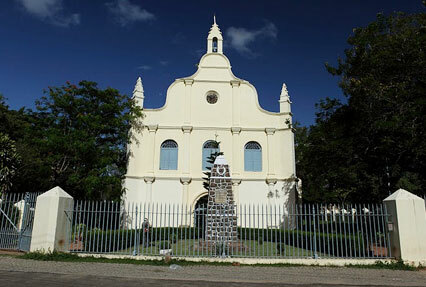 Thereafter pay a visit to the Dutch Palace and St. Francis Church, which was built in the year 1503 and is the oldest church of India. Overnight stay will be at the hotel. After breakfast at the hotel, our representative will accompany you to the airport to board a flight home.